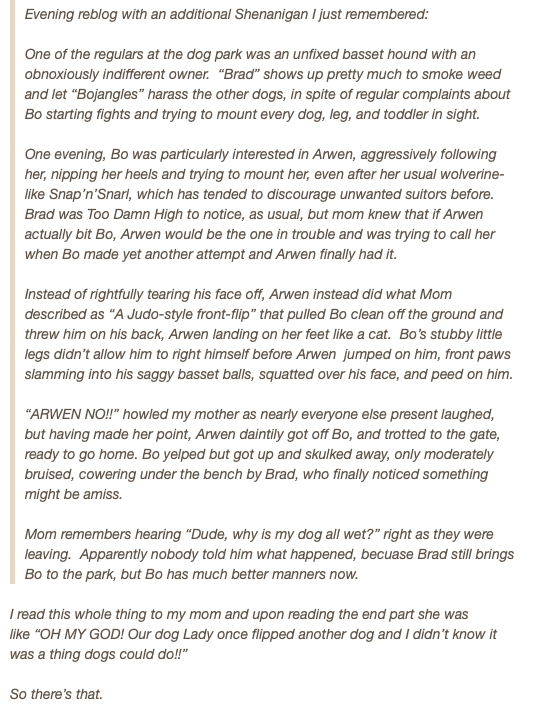 In reality, Arwen is a trained autism service dog and highly intelligent. Where was she trained, you ask? 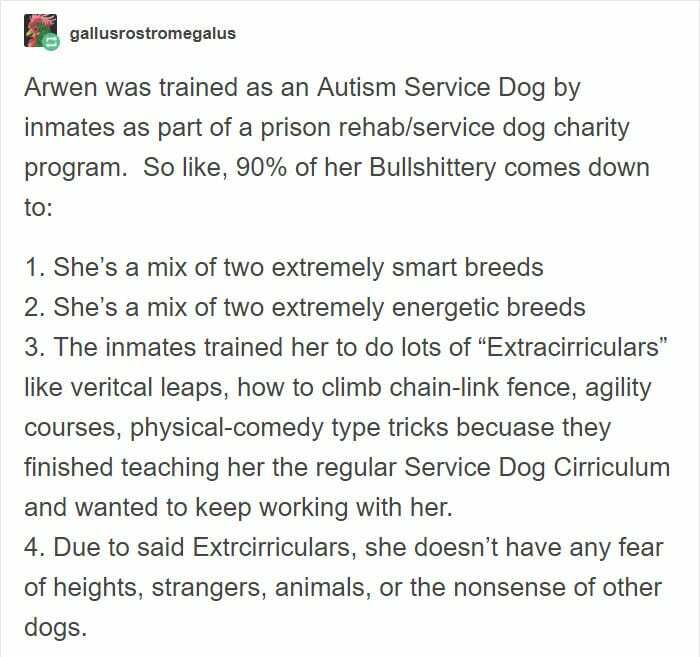 Why, in prison, of course, as part of an inmate rehab/service dog program. Certainly, time in the cooler can teach a dog a lot about life. So, now that she’s adopted, Arwen seems to get herself into all sorts of shenanigans. 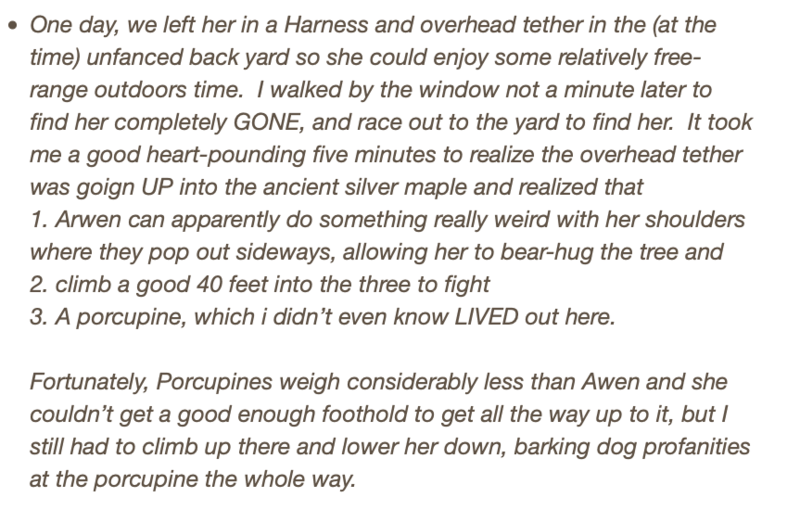 In fact, Tumblr user gallusrostromegalus decided to share with the world all the trouble Arwen causes. Arwen sometime starts fights with her cousin over who gets the recliner. Arwen could be part monkey. 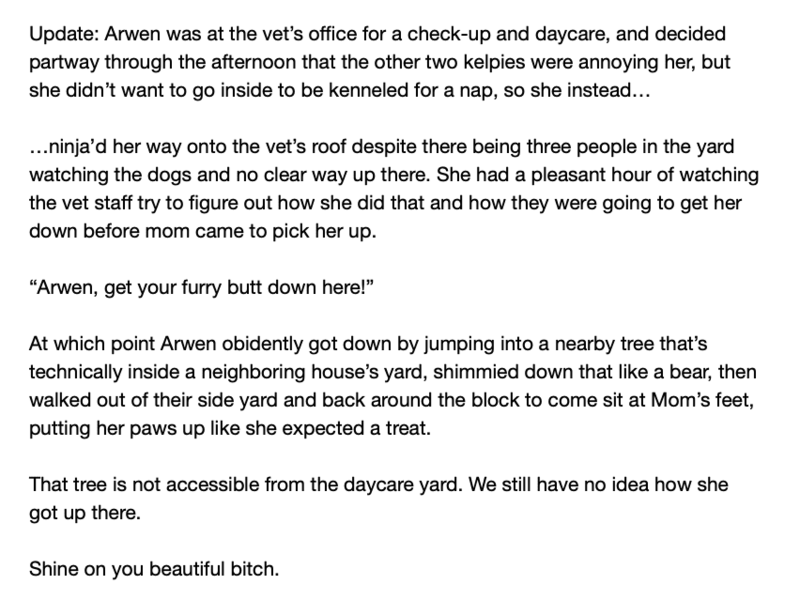 Arwen can’t help herself. 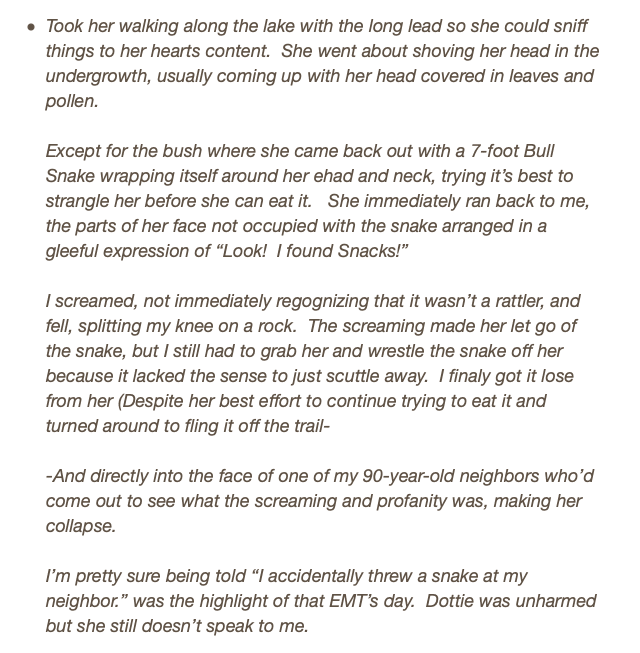 She’s got a mind for shenanigans. 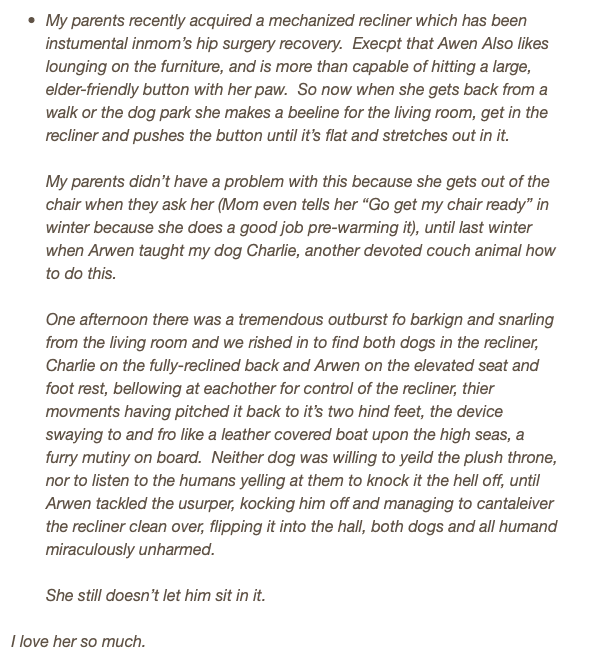 Whatever the background to her mischief making, Arwen’s tails – make that tales – has got the internet crazy for this funny dog and her adventures. 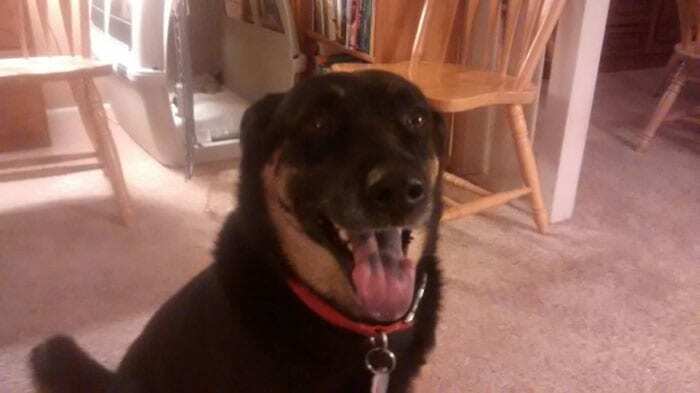 She may not always be a good dog, but she’s certainly an entertaining one.